By default pages appear in your navigation in the order you add them. If you only have a home page your navigation may be hidden until you add another page. In the grid view a drag handle will appear allowing you to drag-and-drop the pages into the order that you want. As you let go of the pages the order will save and your portfolio will update. Changing the order of the pages in your navigation does not change your home page which is the page which loads when people visit your root domain. 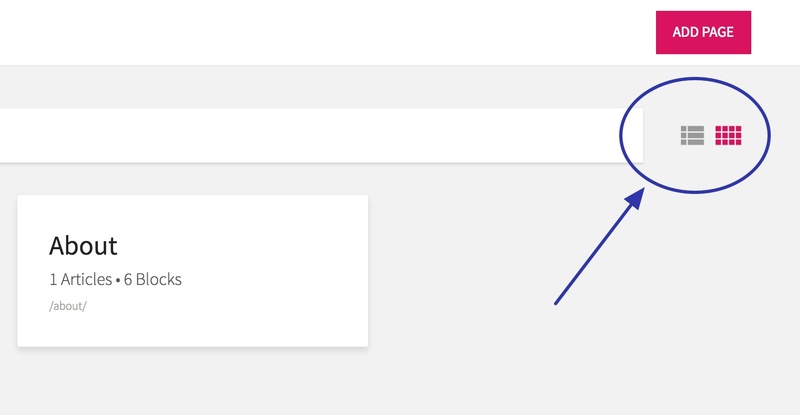 To change your home page, edit the page you want to be the home page and check the 'Set as Home page' checkbox in the right sidebar.